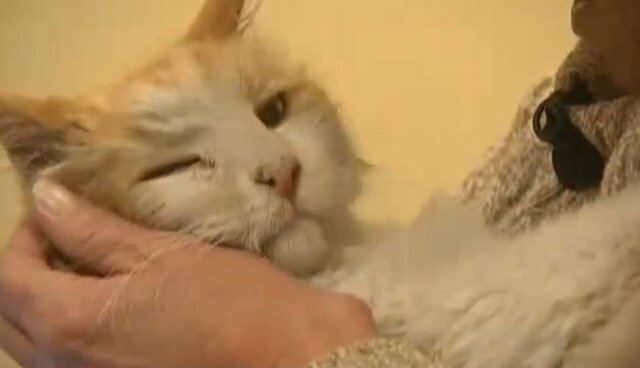 A woman in Las Vegas says she's in disbelief after having been reunited with her pet cat that had gone missing more than a decade ago. 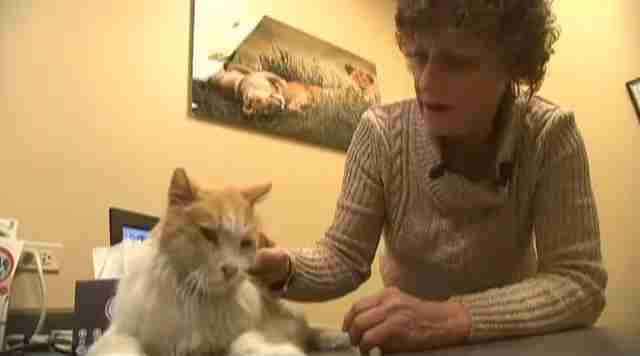 When her cat Spaz disappeared from her home way back in 2002, a heartbroken Linda Edwards did all she could to track him down. Every day for three months, Linda scoured the community and posted flyers asking for people to be on the lookout -- but to no avail. Eventually, she gave up hope of ever seeing Spaz again. "I figured if I didn't find him in three months, he's gone," she says. Incredibly, nearly 12 years after she ended her search, Linda received a call from an area animal shelter saying that a good Samaritan had dropped off a thin, dirt-covered stray cat that had been found wandering the streets 15 miles from where her pet had gone missing -- and that an implanted microchip identified the cat as her long lost Spaz. "I couldn't believe it," says Linda to KSNV News, adding that she had kept the same phone number over the years just in case he was ever found. Vet Michelle Crosetto, of the West Flamingo Animal Hospital, says that if it weren't for the microchip, the remarkable reunion would have never happened -- and things would likely have ended up much differently for Spaz. "I feel like I have a second chance," Linda says. "This would have never happened if it weren't for microchips."